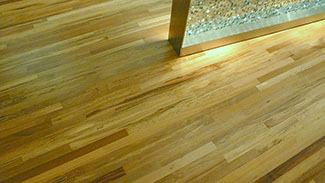 Proper care of hardwood floors can be difficult under the everyday trample of a family and pets. Preserving the natural beauty of hardwood keeps your home looking crisp and is a crucial part of maintaining your investment and your home’s value. 1. 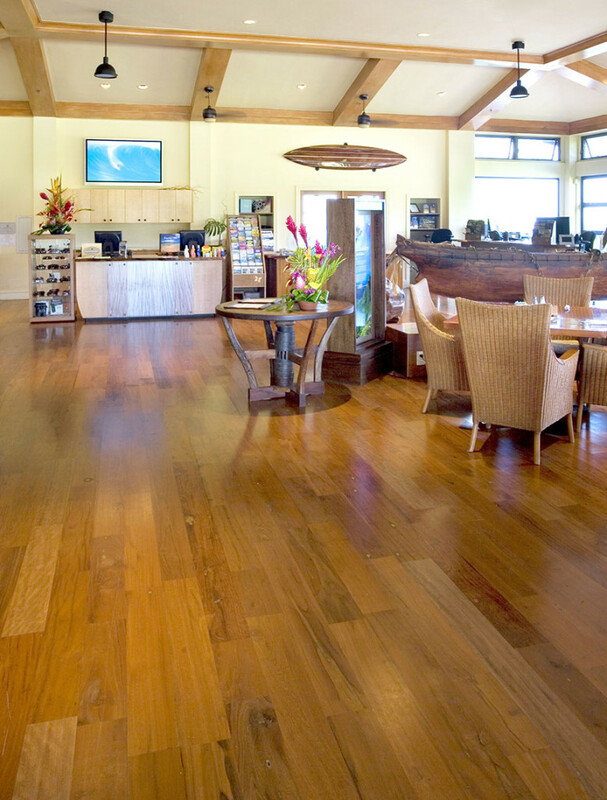 Get to know your specific type of flooring and finish, and rely on the manufacturers instructions whenever available. 2. Research the proper care for your particular finish. For example, never use paste wax on a polyurethane finiish. 4. When wiping up messes and spills, use a dry towel whenever possible. 5. Remove solid material- dirt, grit, sand- whenever possible. Their abrasive textures scratch and dull the floor’s finish. 6. Use rugs in high traffic areas, such as entrances and hallways, to keep feet clean. Or, if you can stand it, leave your shoes at the door to prevent dragging in any extra grime. 7. Do NOT use oil soaps. They build up and will eventually dull the surface of the floor, and can make refinishing difficult. 8. Install felt feet to the bottom of all furniture to prevent scratching. 9. Invest in a vacuum with a bare floor attachment to guarantee removal of dust and dirt. 10. When cleaning floors, use as little water as possible. Immediately wipe up any wet spots after cleaning, or on rainy days. 11. Pay attention to the sun’s rays, which can discolor your floor. Consider installing sheer curtains to cut down on UV rays. 12. When moving furniture, lift it instead of dragging. Invest in a set of slipmats for furniture, or use lids from plastic food containers. 13. Use a buffer on wax-finish floors. These can be rented at flooring specialists and hardware stores. Consider investing in one if you have a great deal of hardwood in your house. 14. Never use cleaners designed for other surfaces- tile, lineoleum, or laminate- on hardwood. These will dull the surface, or cause it to become overly slippery. 15. To remove stains in wax finished floors, rub them gently with fine steel wool, working from the outside-in, then reapply wax. It is extremely important for you to get to know your specific type of flooring and finish, and rely on the manufacturers instructions whenever available. 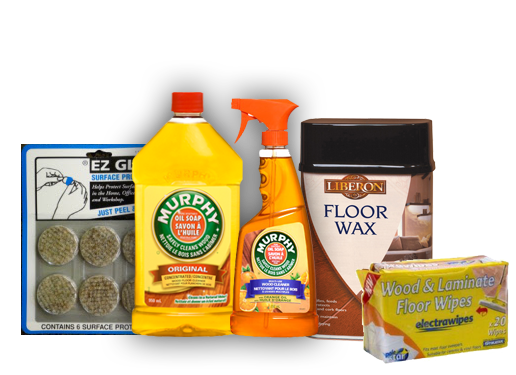 Picking the right products to keep your floor clean is very important!